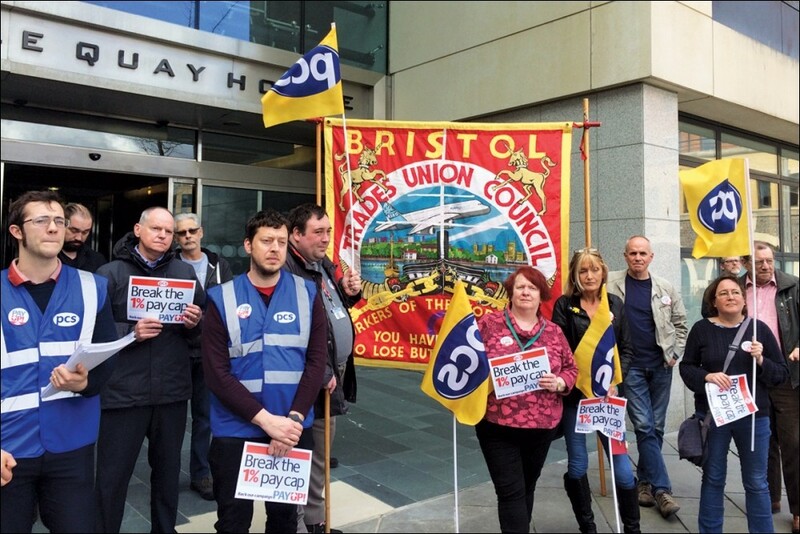 The PCS civil servants' union pay strike ballot ends 23 July. In the time left we need to squeeze out every last vote. Reps gathered at the union's headquarters on 4 July reported a greater level of activity than anything else in recent memory. Town meetings, leafleting, workplace membership meetings and one-on-one discussions all testify to the efforts being made to turn out the vote. From 30 June, phone banks have been in operation. Members are being contacted to ask if they have voted and reminded of the importance of voting. Chris Baugh, PCS assistant general secretary, will be taking his turn on the phone line, saying: "I want to do my bit to secure a Yes vote and to engage with members in this historically important ballot where literally every vote counts." In a complementary exercise pre-recorded messages have been sent out to remind members of the importance of their vote and to ask them to let the union know when they have voted. Although this is a postal ballot, the union is using all available technology to maximise the vote. In parallel with the push for a massive Yes vote, further talks have taken place with the government. The three civil service unions (PCS, Prospect and the FDA) met with David Lidington, the minister for the cabinet office, on 27 June, to challenge the lack of discussion over the government's pay remit guideline - the pay cap. Two scheduled meetings with the unions were cancelled and the guidance (capping pay increases to 1-1.5%) was sent out to departments. This contemptuous approach to the unions and consultation has upset the other two unions. Prospect and the FDA joined the PCS in denouncing the pay limit as unacceptable - a welcome display of unity between the unions. Positive noises about the withdrawal of the pay remit have now been met with equal contempt by the government, which is ploughing on regardless. Leafleting continues across Sheffield with increasing numbers of members reporting that they have voted and voted Yes! The mood is good and one of optimism. Work continues this week with more planned in Sheffield and at a meeting of the town committee in Leeds where leafleting of the big sites was agreed. The Yorkshire and Humberside regional committee has also taken place. Rep after rep reported a positive response and details of a more targeted approach to ensure we capitalise on the members who have not yet voted and want to. We have done three 'desk drops' for the pay campaign and one building has been leafleted four times. The Department for Environment, Food and Rural Affairs has been leafleted by Socialist Party members. Similarly the Ministry of Defence and Department for Work and Pensions offices have been leafleted by PCS branches and the Socialist Party. We have not seen this amount of work for a ballot before and we are getting a good response from members. Glasgow reps have been organising meeting after meeting, speaking to thousands of members. The mood is determined. Phone-banking has begun picking up volunteers to be reps in sites that haven't seen a rep for years. Scotland members are responding well to clearing the 50% threshold imposed by this hated government. As a retired member I have liaised with the PCS Midlands regional office and active union members. They have met and coordinated plans to leaflet offices in Birmingham across different civil service departments to ensure the message concerning the pay campaign reaches every member possible. A chart was provided on the offices to be targeted during a two-week campaign, showing dates and times which included morning, afternoon and early evening shifts, with members willing to cover each shift. Also phone numbers to contact members at each location. Every active member turned up in a high visibility vest. We created a carnival atmosphere which caught the attention of staff coming or going into the offices. We had an excellent response and got new members for the union. Reps in Dundee have worked extremely hard leafleting and organising members' meetings during the ballot. The feedback has been overwhelmingly positive, with members saying that, although they are covered by the employee deal, they will still be voting Yes to ensure their colleagues get the pay rise they deserve as well. We think the campaign is going well, had the best off-site meeting for a long time. Most of the members I have spoken to said they voted Yes or will be doing so. We just need to do the systematic work now to make sure they do so. Reps in Wales have got really stuck into delivering the vote and getting the message across that we cannot win it without members actually getting their ballot papers into the post box. The amount of leafleting, meetings, rallies phone-banking and the vital detailed work in talking to our members individually to keep encouraging them to vote is unprecedented. We will keep encouraging everyone to keep up this active pace of work right up to last day to post ballot papers. Lambeth Socialist Party: Socialist change, not climate change!